Are you visiting Somerville for a peaceful getaway, or are you wanting to show your grandchildren the area? AARP Travel Center Powered by Expedia® can assist you in getting the exact hotel you want at an outstanding price. We've got a broad selection of lodgings to pick from. You can take advantage of your member advantage to set up a hotel that is near the sights you want to spend the most time at, or a polished 5-star resort. There is plenty to do and see in Somerville, and when you choose us as your booking agent, you will maximize your savings while you're on vacation. 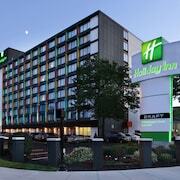 In Somerville, we have lined up 1214 hotels that we offer great rates with. 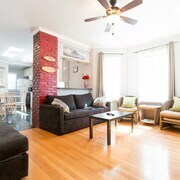 Many travelers come to Somerville to take advantage of all there is to do in the area. Many also travel here for its eclectic art community and historical significance. You and your family will uncover plenty to keep you occupied during your visit. 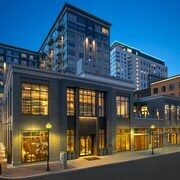 Increase your savings by booking a beautiful holiday package on AARP Travel Center. Wherever your vacation takes you, you will spend more time making the most of your trip when booking with AARP Travel Center Powered by Expedia. 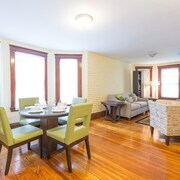 We guarantee that you'll get the best value available when you book with us for your next Somerville vacation. When you decide to schedule your inspiring trip filled with arts and culture, let us help you out with all the details. Luckily, with our cheap deals, you won't have to think about pulling out all your savings to have an excellent getaway. Take advantage of our amazingly low rates because you won't be able to find anything more cost-effective then our deals. You can have peace of mind in knowing that you've found the absolute best rate. Your wallet will be pleased about your travels when you book with the Travel Center.